celebrating both the confronting and cathartic nature of performance." Shock Therapy Productions aims to establish itself as a leading company in the delivery of high quality, relevant, multidisciplinary performance and a leader in the Arts and Culture Sector on the Gold Coast as well as Nationally and Internationally. The company’s first official production was a co-production with Zeal Theatre of The Apology, staged at Boggo Road Gaol as part of the 2015 Anywhere Festival in Brisbane. In 2015 Shock Therapy Productions received Triennial Accelerated Funding from the City of Gold Coast. In 2015 Shock Therapy presented a co-production of The Forwards with Zeal Theatre at the Arts Centre Gold Coast. Later in the same year they also presented a production of Martin McDonagh’s, The Pillowman which was won 3 Matilda Awards for Best Independent Production, Best Director (Sam Foster) and Best Supporting Actor (Tama Matheson). In 2016 the company were commission by Bleach Festival to create a new work. The Magic Garden, a family show for all ages, premiered at the 2016 Bleach Festival and was Shock Therapy’s first original work. In April 2016 Shock Therapy were asked by the Arts Centre Gold Coast to direct the Youth Theatre Project. Hayden and Sam co-directed and designed a production of Flood by Chris Isaacs. In May 2016 Shock Therapy were commissioned by Bleached Arts to write and perform a site-specific roving performance for the Australian Tourism Exchange that was held on the Gold Coast. In September 2016, the company premiered its second full length play, Viral at the Arts Centre Gold Coast. The production received funding from Arts Queensland and went on to win the 2017 Matilda Award for Best Independent Production and receive 3 other nominations (Best New Australian Work, Best Actor – Sam Foster, Best AV design – Nathan Sibthorpe). In November 2016, Sam and Hayden were asked to collaborate on Hotelling, a new work produced by Bleached Arts and curated by David Pledger. In January 2017, the company had their first International project, touring their original work Locked In to Denmark and Norway, performing at the Vinterlysfestival (Winter Sun Festival) in Mo I Rana, Norway. In April 2017, Shock Therapy presented The Forwards at the 2017 Bleach Festival, performing the show at both Griffith University and the Broadbeach Cat Football Club, inside the club change rooms, in a unique immersive experience. Later that year the company remounted the mainstage version of The Forwards and presented it at the Brisbane Powerhouse. This production of the show received the 2017 Matilda Award for Best Independent Production along with nominations to for Sam Foster and Ellen Bailey for Best Male and Female Actor. In August 2017, Shock Therapy performed The Apology at Winterfest in Varsity on the Gold Coast. In September 2017, the company was invited to be resident company that the 2970° - Boiling Point conference, curated by David Pledger. Shock Therapy worked alongside Filipino company Sipat Lawin Ensemble to create a work with students from Robina High School to present at the conference. In November 2017, they were again asked to collaborate and perform in Bleached Art’s Hotelling, held in the penthouse of the Peppers Soul Hotel in Surfer Paradise on the Gold Coast. In 2018 Shock Therapy was commissioned to present a new original work at Festival 2018, the Commonwealth Games Arts Festival. The company created a site-specific, immersive work for families called Welcome to Sameville that was also funded by Arts Queensland. The show included a professional cast alongside a volunteer cast of 20 young and emerging local performers. Shock Therapy Productions was also asked to assist in casting, writing and directing sections of the 2018 Gold Coast Commonwealth Games Opening Ceremony. Sam and Hayden were also cast to play a featured role in a film component of the ceremony, televised to 1.5 billion viewers. In July 2018, the company was commissioned by Splendour Arts to create a new work for the 2018 Splendour in the Grass Festival. A new performance installation called The Cleaners was developed and performed as part of the festival and has since been purchased by the Bleach Festival to be presented at their 2019 festival. In August 2018, The Magic Garden was presented at the Cairns Festival. In September 2018, Viral was presented at Northern Rivers Performing Arts (NORPA). Shock Therapy Productions have taught and performed at Queensland Theatre’s, Theatre Residency Week in 2017 and 2018. Over the past 3 years Shock Therapy Productions have become an industry leader in the delivery of Theatre in Education and currently has 3 productions, The Stones, The Apology and Viral that tour Queensland Secondary schools year-round. The company have also taught hundreds of workshops in schools since their formation and have built a reputation as highly experienced workshop facilitators. 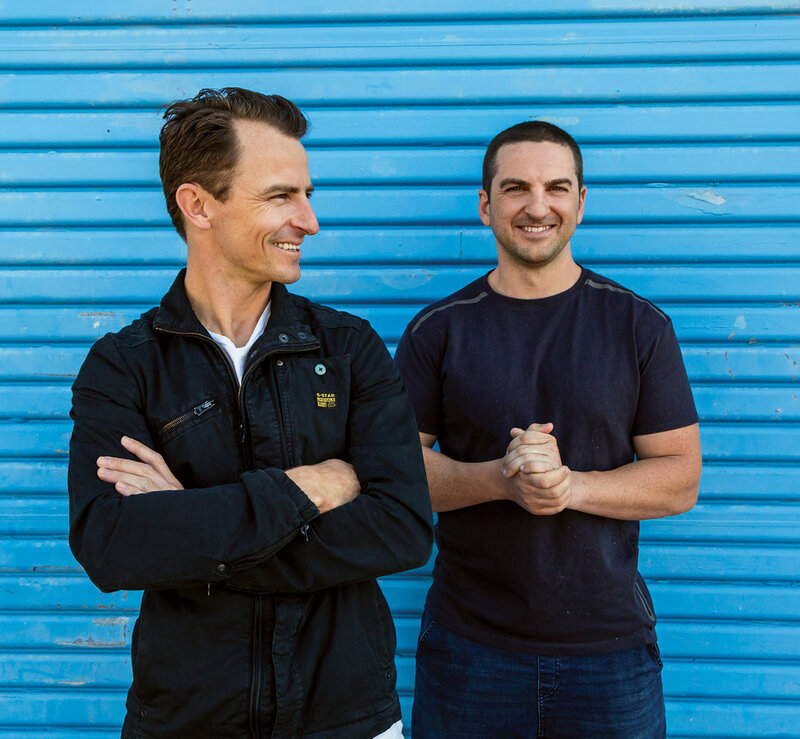 In 2018, Playlab published Viral, written by company founder and co-owners Hayden Jones and Sam Foster. The performance rights for the script have been purchased by Norwegian company Akershus Teater and Sam and Hayden will travel to Norway in 2019 to direct the production that will tour between 2019 – 2024. Sam is story teller, performer and theatre maker. He is an award winning Actor, Director, Writer, Producer, Stunt Performer and Stunt Rigger as well as being a Physical Theatre Performer, Movement Director and workshop facilitator. He is the co-owner and co-founder of Shock Therapy Productions. Sam works in theatre, film and large scale events and has worked for a number of companies and festivals over the past 16 years. His career has taken him to New York, London, Namibia, South Africa, Denmark, Norway and India as well as all over Australia. Hayden is a performer and contemporary performance maker, working across a range of forms including theatre, installation, immersive experiences and cross art-form collaborations. He has worked as an Actor, Director, Writer, Producer and workshop facilitator, for some of Australia’s most recognised and innovative arts organisations. He is also a co-founder of Shock Therapy Productions. Hayden has an extensive background working in Youth Theatre, Children’s Theatre and Theatre In Education for over 15 years, writing and directing shows for young people, and touring nation-wide performing and teaching workshops.